Never let it be said that the CARLMAN backs down from a challenge! If anonymous wants nerdy pictures of me, well, here they are! Preeeeesenting---the CARLNERD!! All right, Zack and Bill, are you ready to nerd up and get your pictures posted??? Hey there, ho there, it's the CARLMAN answering a challenge from Anonymous regarding the Dress Like A Nerd contest. This person wrote a comment on the "Dress Like a Nerd" post and asked us if WE would dress like nerds. Well, I"M up for the challenge! How about you, Darth Bill? Master Jedi Zack? And how about YOU, reader guys? You have through Saturday! Have you read the new novel by Mac Barnett called The Brixton Brother (s): The Case of the Case of the Mistaken Identity. First of all, the blurb on the front about the book is by Jeff Kinney, and you know he's got a sense of humor. Second of all it deals with librarians! I am only 1/3 of the way through so I don't know yet whether they are good or bad librarians but I know I am having trouble focusing on my work and not reading! I think this is going to be a fantastic mystery series that boys are really going to enjoy! ...is, appropriately enough, a TEACHER!! 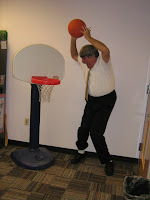 Yes, it's Mr. Michael, English teacher extraordinaire and head of the SMS GUYS READ blog. 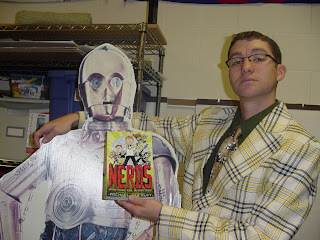 Here he is, in a jacket that would make any nerd green with envy, posing with that nerdy robot C3PO. (I guess if robots could be nerdy, it would be C3PO!) And look what he's reading!! Well done, Mr. Michael! So come on, guys!! Are we going to be beaten by a TEACHER? Put on those nerd outfits and send in those pictures. 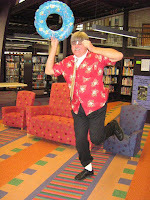 Or come to the Imaginon or Matthews libraries and let us take a photo. The contest goes until 6 pm this Saturday. That's Halloween, men--the perfect day to dress up! Have you ever wanted to join the N.E.R.D.S.? Or dress like the N.E.R.D.S.? Well, you might because N.E.R.D.S. stands for National Espiaonage, Rescue, and Defense Society, a top-top secret agent service the government calls on "when the best of the best can't get it done." It's also the name of a TERRIFIC new book by Michael Buckley. Jackson Jones was the star quarterback and most popular guy in Nathan Hale school who delighted in tormenting the nerdy kids. He noticed the nerdy kids kept getting up and getting out of class. He decided to follow them one day, but the principal was in the halwway. Jackson jumped into a locker to hide, the bottom dropped away, and he slid down into...Do you really want to know? Oh, OK, he slid into the secret headquarters of N.E.R.D.S.! That means he had to join them and fight evil acroos the globe. But does he have what it takes to be one of the N.E.R.D.S.? You will LOVE this book! It's got lots of action, goofball humor, and a SLAM-BANG ending. And it's FUNNY, FUNNY, FUNNY!! In honor of this new book, we're holding a "Dress Like a Nerd" contest. Come to either the Imaginon or Matthews library and let us take a picture of you in a nerdy outfit. Or bring us a picture. We'l post them on the blog. Every guy who does will get a free book. 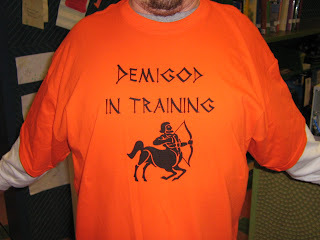 The winner will get a Camp Half-Blood t-shirt and a copy of Out From Boneville by Jeff Smith. Pretty good, huh? The contest will go until 6:00 Pm this Saturday. That's Halloween Day! We'll announce the winner on Monday, November 2. Got any questions? Call Zack at Matthews at 704-416-5022 or Carl or Bill at Imaginon at 704-416-4630. Knights of The Lunch Table: The Dragon Players by Frank Cammuso - This is the second volume of the Knight's of The Lunch Table by Frank Cammusu. To see my review of the first Graphic Novel click HERE. Artie and the guys are in big trouble again in this installment. First off the evil Principle Mrs. Dagger has gotten a brand new car which the guys just happen to accidentally break the windshield of in a bowling accident (believe it or not). Well it is lucky for them that the big celebration known as Dragon Day is coming up and one of the events is a robot battle tournament. However there are problems!!! 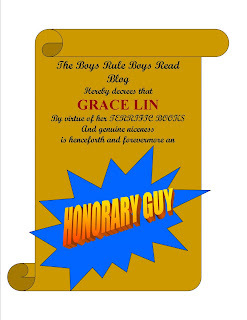 !Percy, the brains of the group, cannot help the guys build a robot because he is being forced to make one for the not so nice group of bullies known as the "Horde" and Artie is catching flack about his grades from Mr. Merlyn. Rest assured much comedy and confusion will follow as the guys try to figure away out of these messes. Don't miss this very funny Graphic Novel!!!!!!! Flawed Dogs : The Novel : The Shocking Raid on Westminster by Berkeley Breathed - Have you ever watched the Westminster Dog Show and marveled at the beauty of the dogs. Well this book is about beauty that is a little harder to see. Not outside beauty, but the beauty that lies within the heart. This book is about a dog named Sam who leads a motley crew of "flawed dogs" in an attempt to sabotage the most famous dog show around; The Westminster. This book will make you laugh out loud and also break your heart at times. I know it may appear that I am saying "unmanly" things about this book, but real men are not afraid to cry or feel joy. So if you want to read a really good book about a three legged dog named Sam and some of his unusual friends (Madam - a cat who wants to be a dog, a bugged-eyed mutt named appropriately Bug, Fabio - a greyhound mix who walks standing up, Pooft - a gas propelled rocket dog, among many other odd but lovable dogs) and how they forever change the Westminster Dog Show; this is definitely the book for you. Two Thumbs Up!!!!!!!!!!!!!! The Marvel Encyclopedia: The Definitive Guide To The Characters Of The Marvel Universe (Updated and Expanded) Senior Editor Alastair Dougall - This book is a must for all fans of the Marvel Universe of Comics. The Encyclopedia starts with the villainous Abomination (a gamma-radiated adversary of The Hulk) and ends some 400 pages later with Zzzax (an electrified enemy, again, of The Hulk). 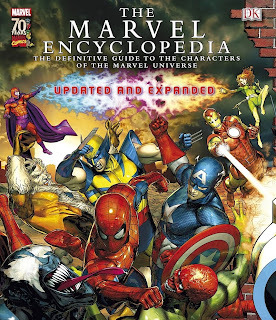 Some of my favorite groups and characters covered in this tome of knowledge are: The Avengers, Luke Cage, Captain America, Doctor Strange, The Fantastic Four, Nick Fury, Galactus, Wolverine, The X-Men and many more!!!!!! So check this book out so you can read up on the complete history of some of your favorite heroes and villains of The Marvel Universe. Hello there guys in the land 'o blog, Master Jedi Zack is back from his galactic travels. Today I want to talk about a book that you may think is too young for you, but you are never too young for some Mo Willems! 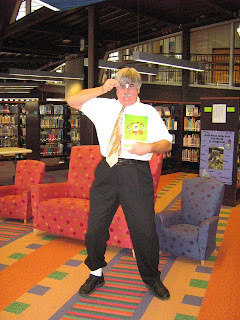 You may remember this author's picture books like Don't Let the Pigeon Drive the Bus, from when you were little. 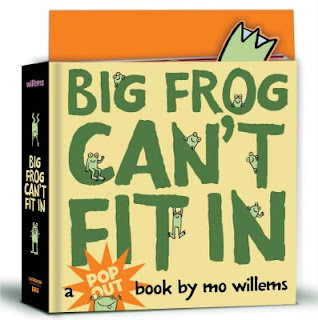 He just put out his first ever pop-up book called, Big Frog Can't Fit In and it is awesome! Pigeon is hidden in there and it took me a good long while to find him. So trust me when I tell you that this book is good fun even for the older crowds, especially if you have a younger brother or sister that you can read to. ...is just GREAT!! These books keep getting better. Dan and Amy Cahill are in Cairo, Egypt (a exotic place where danger lurks at the most unexpected places) in their search for the latest Clue. If they can find all 39 Clues, they could become the richest and most powerful people on earth, but there are other members of the Cahill family who want those Clues as well--dangerous people who will not let a couple of mere kids get in the way! Dan and Amy find old enemies, new friends, and mysterious messages from beyond the grave. But can these new friends be trusted? Can anyone be trusted in the hunt for the most amazing secret on earth? And can Dan and Amy keep searching for the Clues without turning evil like their relatives? I tell you, you gotta read this one to find out!! Adventure, action, mystery, and breathtakingly exotic locations--no one does it better than The 39 Clues!! PS--Could you decode the message in the book? Wow, I hadn't heard those things about Percy Jackson. Thanks, Jacob! I've checked out his blog and he's giving away free copies of a book called The Curse of the Spider King, which looks pretty good. Look into it, guys! Cool, huh? Sure makes me want to read it! Hope to see you all at Word Play Saturday here at Imaginon from 10-1 this Saturday! Hey, reader guys, it's the CARLMAN once again and, before I tell you about this fantastic new book, I want to brag about you all for a minute. You all constantly surprise and please me with your ability to read good stuff and show what people say about boy readers isn't always true. For instance, some say that guys don't read. Period. Or that guys stop reading after 4th grade. Well, all the reviews you've sent show differently. Some say that guys read only stuff with gross and/or potty humor. I'll never forget one guy telling me that one of the reasons he liked the Percy Jackson books was they didn't rely on all that. Another big myth is that guys won't read books with girls as main characters. I know for a fact that's not true because some of you have written reviews and said that you liked the book even though the main character was a girl. (I saw a couple of guys today curl up in the library with Nancy Drew graphic novels!) What guys want is a GOOD STORY. Give us that and we'll like it. Well, here's one with a girl as main character and it was amazing. Where the Mountain Meets the Moon by Grace Lin takes place in ancient China. Minli (whose name means "quick thinking") and her parents live in the shadow of Fruitless Mountain, a big, gray, barren rock of a mountain. Their lives are as hard and barren as that mountain. They break their backs every day to grow just enough rice to keep from starving. Her father tries to keep their spirits up by telling stories but her mother just sinks deeper into bitterness. When a traveling goldfish man comes to their village, Minli learns (from the goldfish!) that she can change her family's fortune by finding the Never-Ending Mountain and seeing The Old Man of the Moon, Minli sneaks off late at night on her quest. Along the way she meets a dragon who cannot fly, talking stone lions, The City of Bright Moonlight, and a fearsome green tiger. Does Minli ever get to change her family's fortune? You'll just have to read to find out!! But I will tell you this--things change in a way Minli could never have predicted!! This is one terrific book, guys! It's not a slam-bang action fantasy like The Lightning Thief but it will keep you turning pages. I definitely had to find out what happened nest! And Grace Lin (that's her on the right) has a great gift for creating a "tale of great wonder." Do you remember that I said in my review of Erec Rex: The Search for Truth that what marks the truly great fantasy from the merely good one is the "sense of wonder"? The sense of seeing amazing or beautiful or terrible things you couldn't see anywhere else? That's what she brings to this story. You'll NEVER forget the rope bridge to the moon, the king's moon pavilion, or the fight between Dragon and the Green Tiger. This book made me sit and say, "Wow!!" over and over again. As I said, this is one terrific book!!! And did I tell you that Grace Lin is one fan-tastic artist!! There are several full-page pictures done in the ancient Chinese style that will knock your eyes out!! One more thing--this book was made for people who love books! Some stories could be read on a computer or an e-book and it wouldn't make any difference. Not this one! The illustrations, the smooth pages that feel so good, the different styles of fonts all add up to a book you want to pick up, hold, read, and enjoy. You can't do that with an electronic machine!! So get this one!! 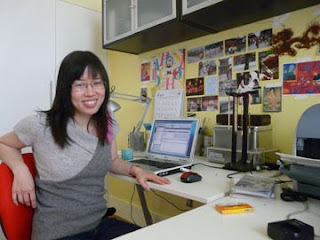 And come to Imaginon this Saturday and meet Grace Lin and other authors at the Word Play Saturday, part of the library's Novello Festival of Reading. Hey, everybody, we've got a comment from a comic book artist and some news that all reader guys will want to know. Thanks for the great review of Billy Batson and the Magic of Shazam #5. Issue #8 has recently been released and I hope you enjoy it. Check out my blog, http://byronvaughnsshazam.blogspot.com and feel free to comment. Man, this is too cool. Thanks for writing in. 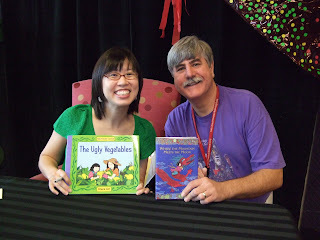 I really enjoy your work and the kids here love the book. I know I and others look forward to more of your work. You Rock!!!! Thanks, Byron! Bill really liked this comic--check out his review. Hope we see issue # 8 soon. Secondly, the Guys Read website has gotten an overhaul and really looks great!! It's run by the great Jon Scieszka, the king of Guy Reading and author of The Time Warp Trio and other fantastic books. If you ever want to find good stuff to read, that's the place to go!! (outside of US, of course!!) Take a look--their site is the first one in the list of Links on the left-hand side of the page. 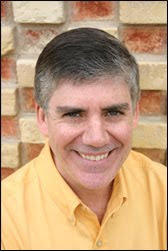 Last, and certainly not least, is great news from Rick Riordan, the Percy Jackson man. His blog has reported some extremely exciting things, like The Ultimate Percy Jackson Guide, scheduled to come out in February in time for the Lightning Thief movie. As Mr. Riordan says, "The Ultimate Guide is a compendium of information and full-color illustrations of Percy Jackson's world, including a bestiary of Greek monsters, and scrapbook of Percy's life, a guide to life at Camp Half-Blood, a tour of the Underworld by Nico di Angelo, a trip through the Labyrinth, and much more. " Sounds exciting!! And, as if that's not enough, there will be a PERCY JACKSON GRAPHIC NOVEL out on October 10, 2010. Wow! Will that be great?? Wait--that's a whole year form now!! Aaaauugghhhh!!! Well, to fill in that long waiting period, we have maybe the best news yet. 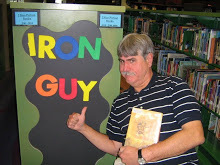 Mr. Riordan's first book in his new Egyptian mythology series will be released on May 5, 2010!! And that's only---oh, about 8 months away. I guess I can wait that long!